Last year the University of Groningen decided to merge most of its Modern Language Programmes into a single programme: European Languages and Cultures, featuring the study of 10 European languages from a European perspective. But this new programme was barely in its third month when the University announced plans to reduce the number of languages from 10 to 6. 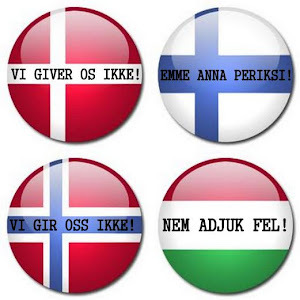 As of September 2013, students will not longer have the possibility to choose Danish, Norwegian, Finnish or Hungarian. However, the value of these languages extends well beyond the university walls. Cultural exchanges between countries large and small are of great economical importance. Accordingly, the study of languages and cultures at academic level is vital –language students go on to work as writers, communicators, translators, interpreters, editors etc. If the University of Groningen’s plans to discontinue four modern language programmes take effect, unique expertise will be drained from the country, with devastating effects in the long term. With this petition, we urge the University of Groningen to reconsider these plans, and to continue to offer Danish, Finnish, Hungarian and Norwegian as part of the European Languages and Cultures programme. If you want to support our cause, please sign this petition and spread the word! We urge the Board of the University of Groningen to reconsider these plans, and to continue to offer Danish, Finnish, Hungarian and Norwegian within the curriculum of the European Languages and Cultures programme.